I know I’m crazy, but for some reason the update didn’t kick off automagically on my 7 box, so I fished around and found the direct download here. From what I’ve read VMware Player 7 updates should work with 10. Time to see what breaks, and what works! The first issue I had is that after the upgrade, VMware Player couldn’t connect to the bridge adapters. Luckily the fix is really easy. 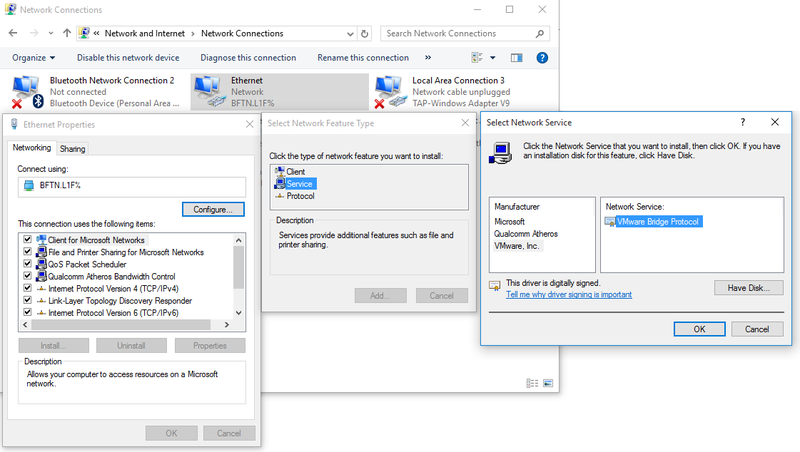 Bring up your network connections, go to your physical Ethernet adapter, bring up it’s properties, and add in a ‘service’. Then select the VMware Inc, vendor and the VMware Bridge Protocol. Now with that done, all I had to do is then bind the bridge to the Ethernet adapter. 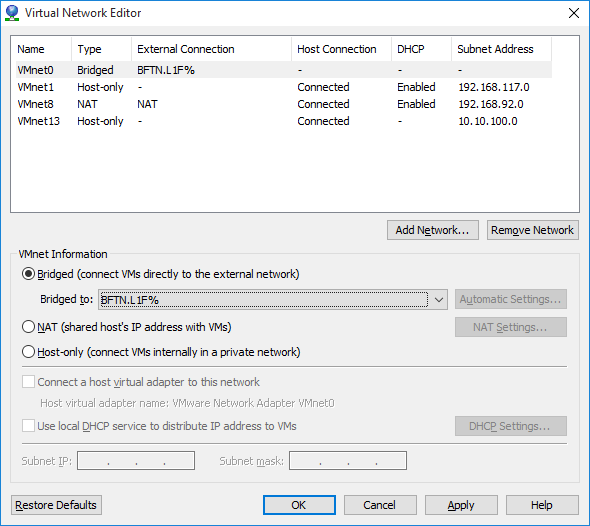 And now my VM’s can talk to my network without any of that NAT nonsense. And I didn’t have to re-install VMware Player to fix this either! Some real fun came from upgrading my wife to 2015. She uses Outlook 2013 to talk to an IMAP server. No big deal right? Well after upgrading when she tried to send an email she would get the ever so helpful error 0x800CCC13 . So her server is setup to use SSL to talk to the outbound SMTP server. It even has a valid certificate! The best part is that verifying her account and IT WILL SEND THE TEST EMAIL. Yes, that is right, Outlook 2013 cannot send to SMTP servers, but the test and diagnostics work. And in the age of multigigabyte installations all the user is left with is a hexidecimal error code of 0x800CCC13. Frankly this is totally inexcusable in 2015, let alone in the 1990s. 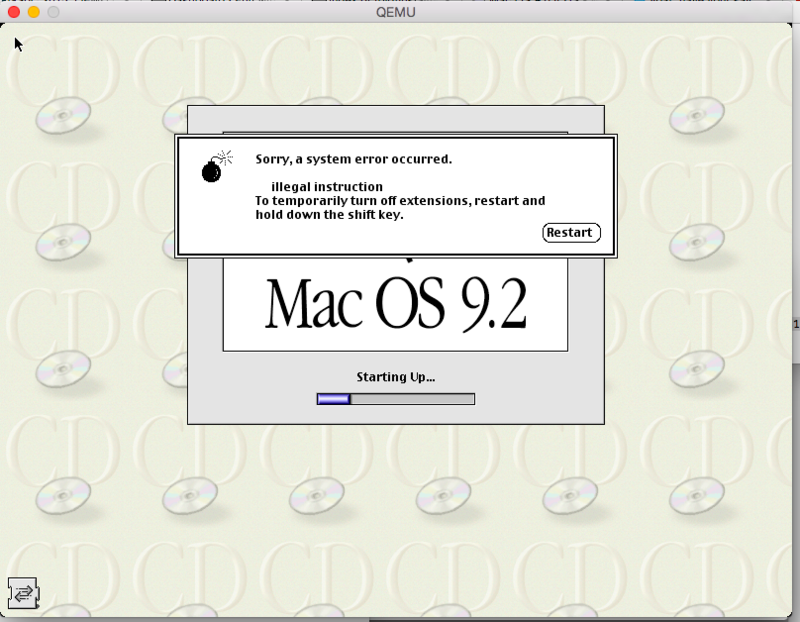 Hell even OS/2 had a system to look up cryptic error messages. I guess that was an IBM thing. It can take upwards of 10 minutes to complete. After we ran this, we re-ran Outlook 2013, and all of our dozens of attempted test messages sent. Another possible problem is that the Exchange server pluggin is interfering with the IMAP/SMTP plugins, and it needs to be disabled/deleted. I haven’t had to go there since she can send emails now. Yep turns out XCode 4.2 (and probably many others) will actually expire. So turn off the automatic clock sync, and set your time back to before the package was issued (Xcode 4.3, released on February 16, 2012..) and you’ll be good to go. So yeah, dealing with Apache 2.4 vs 2.2 was… fun. The security Order stuff is obsolete so that was fun editing all the virtual hosts. Needless to say, having localhost point to ::1 made it dependant on all local daemons supporting IPv6, and spamd sadly is IPv4 only. Luckily it’s a quick fix to remove localhost from ::1, which then let’s it work again with 127.0.0.1, and now it can connect over IPv4. [….] Restarting apache2 (via systemctl): apache2.serviceJob for apache2.service failed. See ‘systemctl status apache2.service’ and ‘journalctl -xn’ for details. Great.  So what does the error actually say? apache2: Starting web server: apache2 failed! apache2: The apache2 configtest failed. ……. 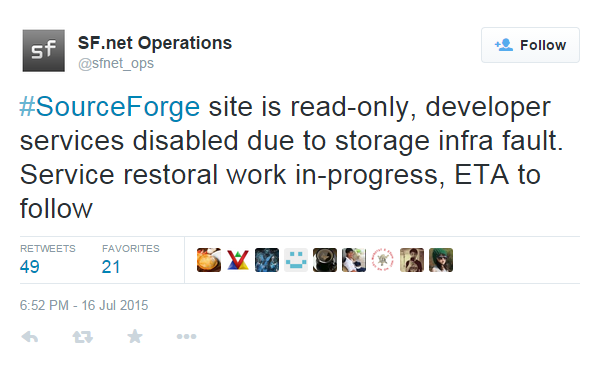 apache2: The Apache error log may have more…. systemd: Failed to start LSB: Apache2 web server. systemd: Unit apache2.service entered failed …e. You did back it up, right? now put it back in..
Not to mention the joys of updating perl, and the cvsweb breaking, and I’m sure far more to break. Oh well, at least it’ll be up to date. That’s what I get for mixing ‘stable’ with ‘old stable’, when the local mirror out in the UK I was using moved up to 8. MPW 3.3 won’t work, which is the only version I’ve had when I bought an extraordinarily heavy FORTRAN compiler for the MAC, Language Systems FORTRAN. I tried to get dungeon to work with that, but no dice. But thanks to macgui, they have links to the 3.2 headers & libraries! It took me a little longer than I’d like to figure out how to build the cross libraries, as I kept running the script from the script directory, not from /mint as I should have (is there any documentation?!). 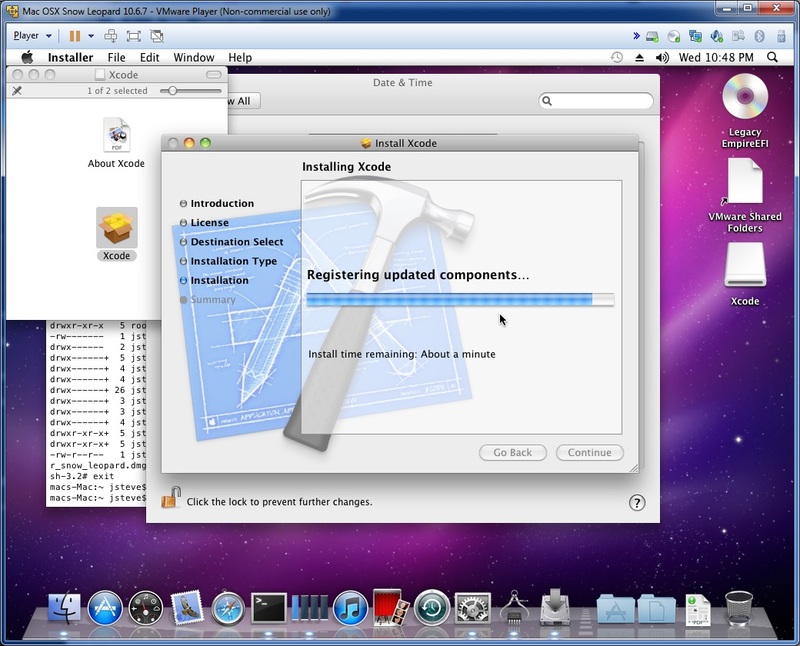 But I finally built the libmac16.olb and libmac.olb needed for MiNT programs to call the MacOS toolbox! So now I’m able to compile Hoshi’s 1999 JET and MacMiNT! 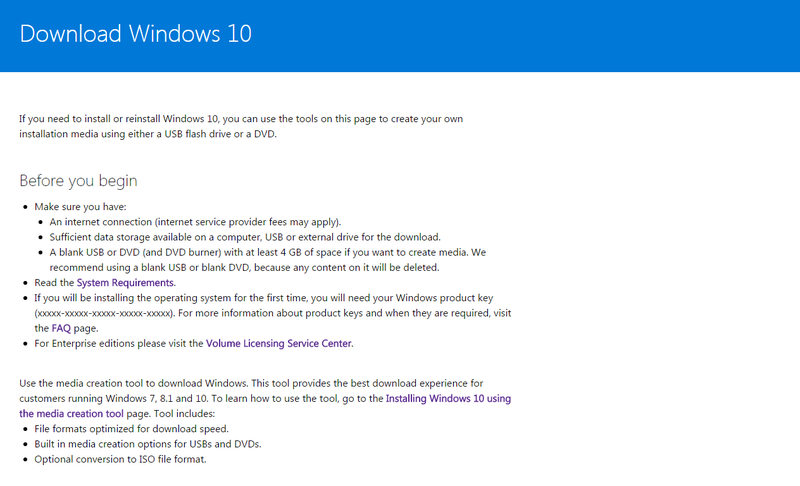 For anyone interested, I’ve built a disk image here, that includes everything all ready to go. It runs great on my latest build of Cockatrice, although I haven’t made any Win32 builds just yet…. I suspect it’ll run on emaculation’s build of Basilisk II it really should only need a 68000 with 8MB of RAM or so. The disk image is 8MB, and uncompressed onto a hard disk takes up 35MB of space. I’ve also made a small (100MB) mirror of the umich MiNT & MacMiNT install archives I could find right here. Also, it runs dungeon,and with a lot of finagling, it’ll even run f2c dungeon! (needs a 68030 or higher). For those who insist on running this on SheepShaver / Or PowerPC based machines, I’ve found that System 7 and an OldWorld ROM run it best. 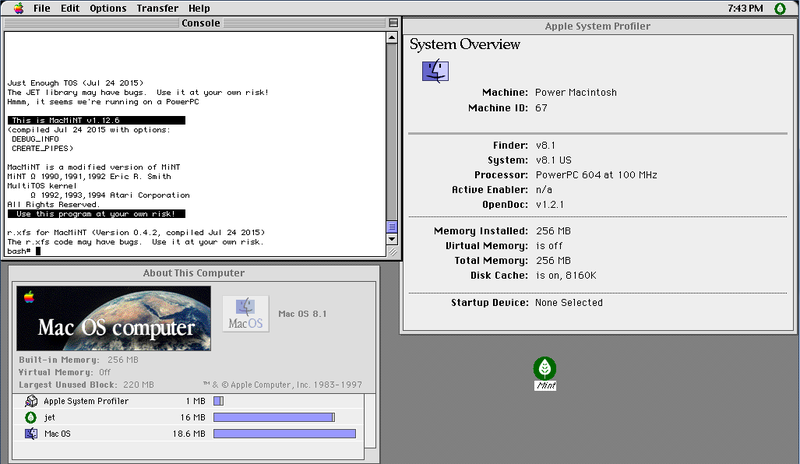 System 8.0 and System 8.1 can run it (assuming they were installed as a PowerPC install), but System 8.5 and higher are not very cooperative when it comes to MacMiNT. I suspect it must be the re-write of the nanokernel that PowerPC MacOS is based on. 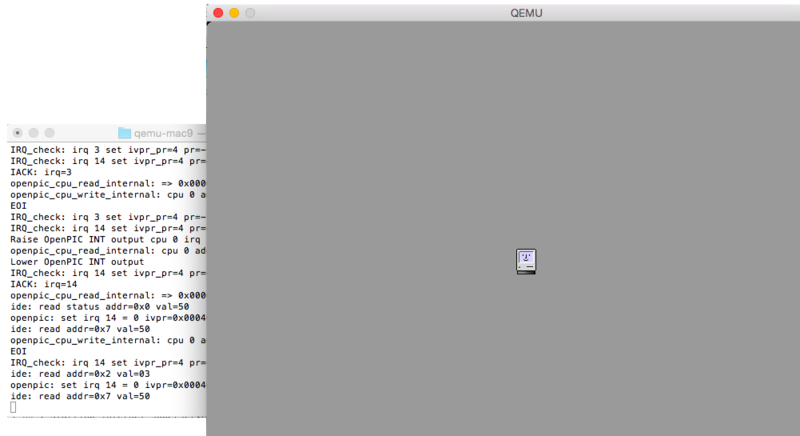 I know it may not look like much right now, but Cormac O’Brien is working on bringing MacOS 9 support to Qemu! This is really great news as Sheepshaver has painted itself in a corner with it’s CPU code that requires memory access to 0x00000000 which more and more operating systems deny. So you can download the snap and follow the instructions here. And you too can watch it fail. From here the screen should turn grey, and again it may or may not go to a happy mac, or again get stuck on the CUDA read 30/00 thing above. Once it goes New World happy mac, it’ll load MacOS then bomb over one of the extensions. 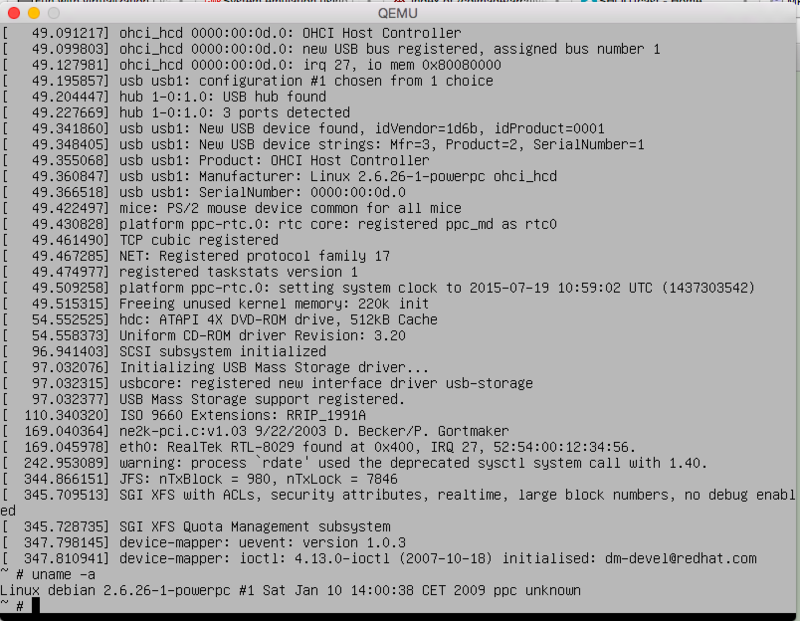 I tried some OpenBSD for the heck of it, the good news is the kernel loads and starts the boot, but it has some issues with either memory or mapping the PCI bus. I didn’t bother installing but nice to see the installer CD runs fine. Kind of annoying when I wanted to expand something with mingw, and all their download mirrors are… sourceforge. And since I finally got around to putting Cockatrice on git but where did I put it? sourceforge. Seems everyone has a good outage from time to time. What to do? Trust more of the cloud? On Saturday 11AM BST the pages and downloads are back online! Project pages and downloads back online!